Denton told Guinness World Records that he was inspired to become an animatronics engineer by the AT-ATs in the Star Wars movie The Empire Strikes Back, which he saw when he was eight. As an adult, his career has landed him jobs in films like Harry Potter and the more recent Star Wars Episode VII in which he helped design the droid BB-8. Mantis can be ridden from inside a cockpit or can be controlled remotely via WiFi. Each of its six limbs has three actuators and are driven by a 2.2-liter Perkins turbo diesel engine. It is not fast by any stretch of the imagination. The diesel has enough horsepower to push it along at a snail's pace of 1km/h. It does have a relatively broad range of movement though. Two three-axis joysticks and 28 buttons give the hexapod 18 degrees of freedom. The controls are managed by a Linux-based PC "brain" that controls the hydraulics system. Denton started by designing small toy-sized hexapods in 2009 — 20 in all. He built them out of various materials, and the biggest one was about 50cm. One of his early designs was used in a Harry Potter film to animate a six-legged turtle. Guinness reports that later Denton was commissioned to build a 200-ton hexapod for underwater use. Yes, you read that right — 200-tons. He created the two-ton version as a prototype to work out problems he might encounter trying to build one 100-times larger. Mantis took him three years to build and is actually Mantis MK II. The Mantis MK I was constructed in a year an a half, but the hydraulics immediately broke when he tried to get it to stand. "I had very little experience with hydraulics, but had to figure out how the engine, hydraulic pump, and tank would work together," said Denton. "I had to become an expert in multiple areas, so I spent a lot of evenings reading!" 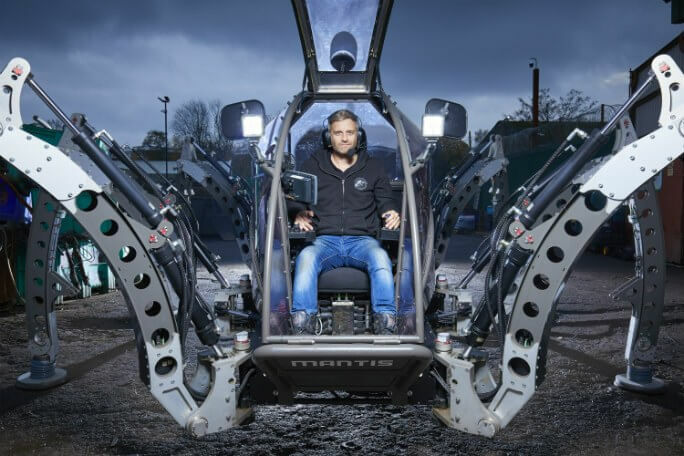 If he does manage to overcome the obstacles of creating a 200-ton version of Mantis, not only will it be another record-breaker, but will also be a sight to behold — a real-life giant mech straight out of an anime or video game. 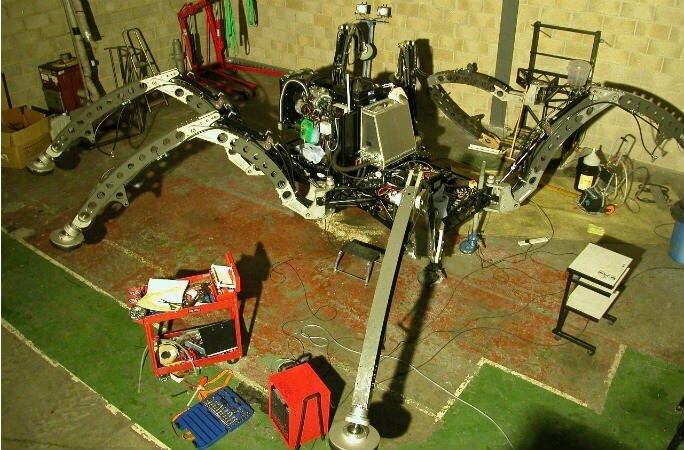 It's not really a spider-bot if it only has six legs. A cross of terminator and spider-man. It's a spider where a child has pulled off 2 of its legs. May be he could call it the 'daddy long legs'?